Adorama almost always have a great selection of Ex Demo, Open Box and other almost new binoculars for sale on their website, which they offer at greatly reduced prices and are always worth checking out. Currently and when I last checked, they have a whole selection of Leica Ultravid and Trinovid's as well as Swarovski, Zeiss Victory and Conquests, Canon Image Stabilized and Nikon binoculars, but obviously this changes frequently. 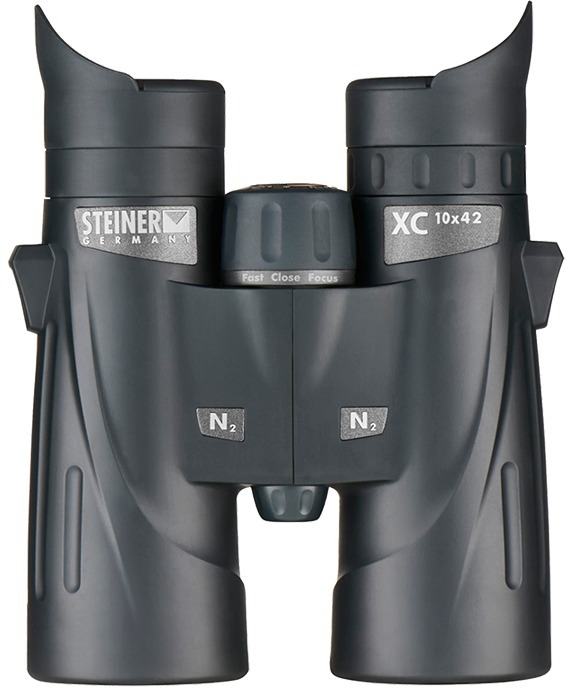 Mid to high end binocular from Steiner Optics feature a wide field of view for a 10x42 binocular, excellent close focus distance and come with a lifetime warranty that you can trust. 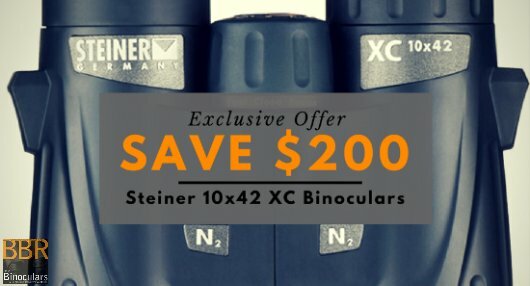 More details on these Steiner XC 10x42 Binoculars. I review quite a lot of binoculars, most of which are sent to me by the manufacturers or distributors and go back after I have finished testing them. However some don't and then there are also the binoculars that I actually buy in order to review them. To help recoup some of these costs and because my office is starting to get pretty crowded, I have decided to list some of them for sale as ex-demo or probably better described as ex-sample binoculars. Every binocular that I review is brand new and out of the box when I get it. I then use them for a few weeks and am always very careful to look after them as best I can.... none of my tests involve testing just how tough or water proof they actually are! So all the binoculars listed here are almost new and have been carefully looked after. All are put back in their original box and packaging after the review. If any binocular has any marks or other issues, I will highlight it in the description. Now available - I have the test sample and winner of Best Birding Binocular 2016/17, these cracking Eschenbach Trophy D 8x42 ED binoculars. 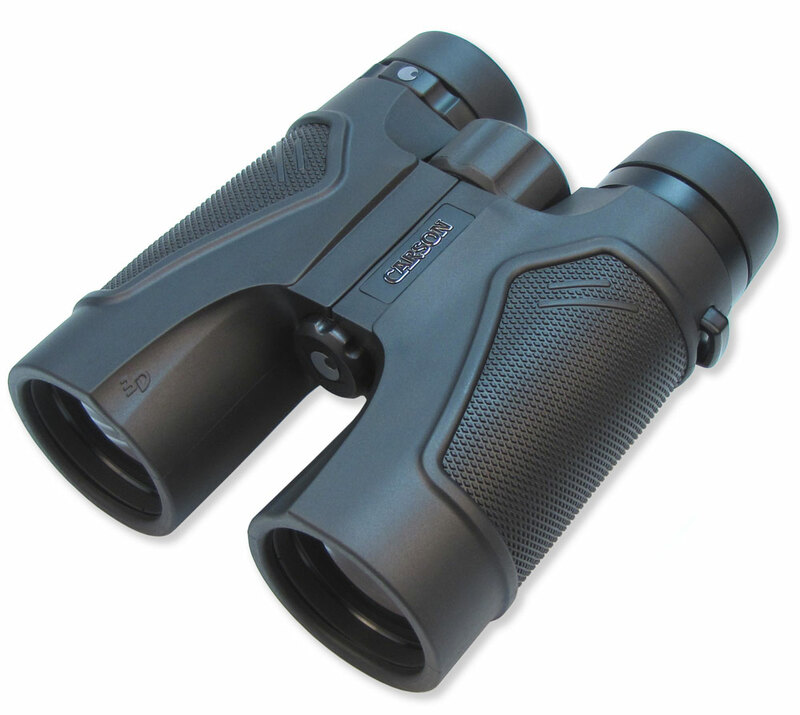 Wide Field of View: At 408ft wide at 1,000 yards away, these Eschenbach Binoculars are once again up there with the very best 8x binoculars and which is why for many uses, but especially birding and wildlife observation they really excel. Note: The model that I am selling is the exact one that I used to test for the review that I wrote on them. They arrived as brand new and out of the box. As with all my reviews, I used them for a few weeks treating them very carefully. Afterwards they were replaced in the original box, along with the their carry case and neck strap and all other accessories. I would describe their condition as being as good as new. 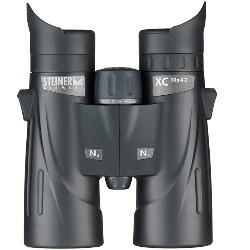 For photos & video of the exact binocular that is for sale and for more detailed information please read my full review of these Eschenbach Trophy D 8x42 ED binoculars. With the Viper HD, Vortex have taken what already was an award-winning binocular and have added High Density (HD) extra-low dispersion glass to it. Vortex's XP engineering anchors internal prisms in place and improves the Viper's ability to withstand rough use. Protected with rubber armoring, waterproofing, fogproofing, the Viper HD is certain to perform for generations. With these added high-performance additions, the already bright, rugged and lightweight binocular is defiantly one of the very best in it's class. The model that I am selling is the exact one that I used to test for the review that I wrote on them. They arrived as brand new and out of the box. As with all my reviews, I used them for a few weeks treating them very carefully. Afterwards they were replaced in the original box, along with the their carry case and neck strap and all other accessories. I would describe their condition as being as good as new. 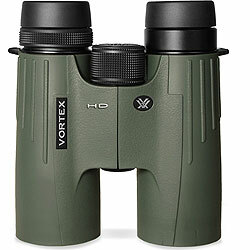 For photos & video of the exact binocular that is for sale and for more detailed information please read my full review of these Vortex Viper HD 8x42 binoculars. Whilst the original Endeavor used ED (Extra-Low Dispersion) Glass in their lenses, the major improvement to the Endeavor ED II is the inclusion of the much higher specification HOYA ED Glass Made in Japan that delivers an even sharper, higher resolution image. 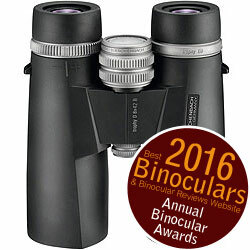 This along with a number of other outstanding features including a fully waterproof and lightweight magnesium alloy frame, fully multi-coated optics and phase corrected BaK-4 roof prisms mean that these binoculars were well deserving of their award as the Best Wildlife Observation Binocular in 2014. For photos & video of the actual binocular that is for sale and for more detailed information please read my Vanguard Endeavor ED II 8x42 Binoculars Review. 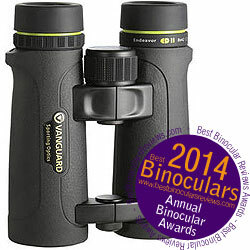 This 8x42 Vanguard Endeavor ED II Binocular has a list price of US$499 in the US and is currently for sale on Amazon.com and Eagle Optics for US$399 - In the UK they are currently for sale on Amazon.co.uk for £409, £329.99 at PicStop, £329.00 on Ebay.co.uk and £319.00 on Wex photographic. Contact me if you have any other questions, or if you wish to purchase this or indeed any of the binoculars that I have listed on this page and want a quote for postage for delivery outside Europe. Completely designed and manufactured in Germany to the highest standards, they use slightly larger than standard 33mm objective lenses (for a mid sized bin), which allow more light in for a better quality and brighter image (especially in bad light conditions), without making any noticeable difference to their size or weight. They also feature ED glass in the lenses, fully multi-coated optics BaK-4 roof prisms that have been phase corrected. This bin that is for sale is exactly the one that I used for the review and is the exact one in the photos on the review. They arrived as brand new and out of the box. As with all my reviews, I used them for a few weeks treating them very carefully. Afterwards they were replaced in the original box, along with the their carry case and neck strap and all other accessories. I would describe their condition as being as good as new. For photos & video of the exact binocular that is for sale and for more detailed information please read my Minox BL 8x33 HD Binoculars Review. 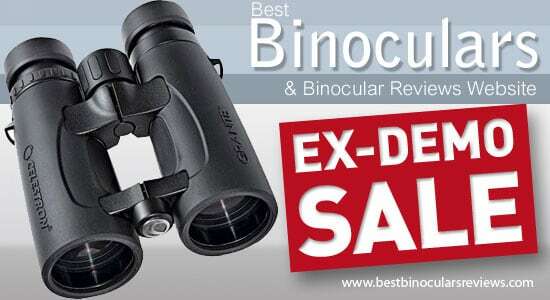 This 8x33 Minox BL HD Binocular has a list price of US$499 in the US and is currently for sale on Amazon.com for US$458 - In the UK they are currently for sale on Amazon.co.uk for £450, £378.99 on Ebay.co.uk and £339.00 on Wex photographic. 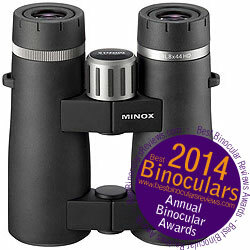 Winner of the award as the best birding binocular in 2014, these Minox binoculars are completely designed and manufactured in Germany to the highest standards. Their slightly larger than standard 44mm objective lenses allow more light in for a better quality and brighter image (especially in bad light conditions), without making any noticeable difference to the size or weight of the bin. For photos & video of the exact binocular that is for sale and for more detailed information please read my Minox BL 8x44 HD Binoculars Review. 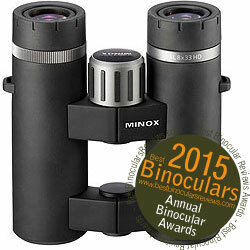 This 8x44 Minox BL HD Binocular has a list price of US$559 in the US and is currently for sale on Amazon.com for US$489.00 - In the UK they are currently for sale on Amazon.co.uk for £374.99 and £399.00 on Wex photographic. Included extras like the binocular harness and the fantastic wrap around BinoArmor Deluxe carry case add extra value to this already excellent pair of optics and also make them ideal for tracking wildlife in all weather conditions and through difficult terrain. The model that I am selling is the exact one that I used to test for the review that I wrote on them. They arrived as brand new and out of the box. For the review, I used them for a few weeks treating them very carefully. Afterwards they were replaced in the original box, along with the harness, carry case and all other accessories. I would describe their condition as being as good as new. For photos & video of the exact binocular that is for sale and for more detailed information please read my full review of these Carson 10x42 3D Series binoculars. I have marked down the prices to what I feel makes them a really good deal. This you can easily check by looking at the links that I provide to on-line merchants where you can buy brand new models. 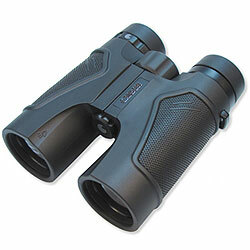 I am able to offer delivery of these binoculars to the UK and most of Europe at a price of £12. Binoculars are posted within 3 days of payment and if not, I will always contact you to let you know the reason for the delay. I can also deliver them to the rest of the world like the US and Canada, but please be aware that you may be subject to import duty, so you will need to factor this into your equation when deciding if it is worth it. The cost of delivery to the rest of the world will also obviously increase, so please contact me first to get a quote. I prefer to accept payment via Paypal and I have added a buy now link to each binocular that I am selling. But if you wish, I can also accept payment via cheque or by direct deposit into my bank account. Please contact me if you wish to purchase any of the binoculars I have listed on this page using these payment methods, letting me know which one you want and how you want to pay and I will reply with the payment details and get them in the post to you asap!